Crown Brakes are leading Exporter and manufacturer of Asbestos Free Brake Linings. Crown Brakes are supplier and exporter of Asbestos Brake Liners. 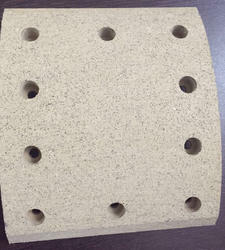 We offer these Asbestos Brake Linings at affordable rates. Our products are in high demand for their good features. Looking for Asbestos Free Brake Linings ?